Home » IEP Advice for Parents » Should you record your IEP meeting? Should you (audio) record your IEP meeting? It’s a question that I’ve seen parents and advocates discuss quite a bit. And like all the other parts of the IEP, there are no easy answers to the question. In deciding whether or not to record your child’s IEP meeting, there are many different things to consider. Here is a list of some of them, as I asked around in the Facebook group and my advocate friends. Some of their answer surprised me and some changed my mind a bit. Prior to doing this post, I was pretty much on Team No, don’t record. I’m still on Team No, but now it’s more of Team No, but…..there are always exceptions. Should parents record an IEP meeting? There are two main things to consider when deciding to record your IEP meeting, as far as negative repercussions. One is breaking the law and the other is throwing a wet blanket over your relationship with your district personnel. The benefit of course is that you will have everything that is said during the meeting to review at a later time. Check recording laws and policies. This is important. Different states have different laws regarding recording others. In some states, all parties must agree or you cannot do it. In other states, you don’t even have to inform the other parties that they are being recorded. It varies. Also, your school district may have it’s own written policies about recording meetings and other school happenings. Yes, policies can be overridden and a state law overrides a district policy, but you still want to be prepared for anything the day you walk in with the recorder. Ask yourself why you want to record the meeting. This is pretty simple. Why do you want to record the meeting? Do you struggle with concentrating on the meeting and fully participating and note-taking all at the same time? Lots of people do. It’s an overwhelming process for parents. Has your school district backpedaled before, promising you items during a meeting but then disagreeing later they agreed to the item? Are they rude, hostile and condescending to you during the meeting and you want proof or hope that they will be civil if you record? Do you need to record the meeting as an accommodation? Ask yourself if there are other solutions besides taping. Maybe you don’t want to take this step just yet. Take a friend, your sister, sister-in-law, cousin, partner with another parent in your district and attend each others’ meetings. Have one take notes so that you can participate. Within 24-48 hours of the meeting, send a follow up email to the Special Ed Director while you are waiting for the final IEP draft. “I just wanted to follow up with you regarding my son’s meeting, a lot of information was said and I want to make sure we are all on the same page. We agreed on the following items (list them). For me, as a parent as an advocate, this is the preferred method. It’s more collaborative, and doesn’t put people on the defensive the way taping does. If it works, I would recommend this approach. What do you hope to gain by taping? Maybe your team really is hostile and nasty to you. That’s certainly not unheard of, and I’ve seen it myself. In that case, recording might help. Another common parent issue is that you want to ask your district for something big (new placement, 1:1 para and so on) and you anticipate them saying “no” so you want to have it on tape. Or, you think that maybe you’ll better your chances of them saying “yes” because you have them on tape. It’s not. And what is that going to serve? Are you going to transcribe the entire tape and have it entered in the child’s record? Then why do it? As an advocate, I think your time is better spent getting the data you need to show that your child needs whatever it is you are requesting, especially if your relationship with your district is decent. Know that many people will view recording an IEP meeting as a hostile act. Put yourself in their shoes for a moment. You think you’re doing a good job. You like your students, you think you are serving them well. Then one day Mom walks in and says, “I’m going to be recording this IEP meeting, k?” It’s normal to feel defensive and taken aback. Administrators often see this as a hostile act and that you are trying to catch them doing something wrong (and you might be). But I wouldn’t be doing my readers justice if I didn’t tell you this. Not everyone thinks this is a great idea, so don’t expect to be greeted with warm welcoming smiles after you announce this. My relationship with my school district can’t possibly get any worse. 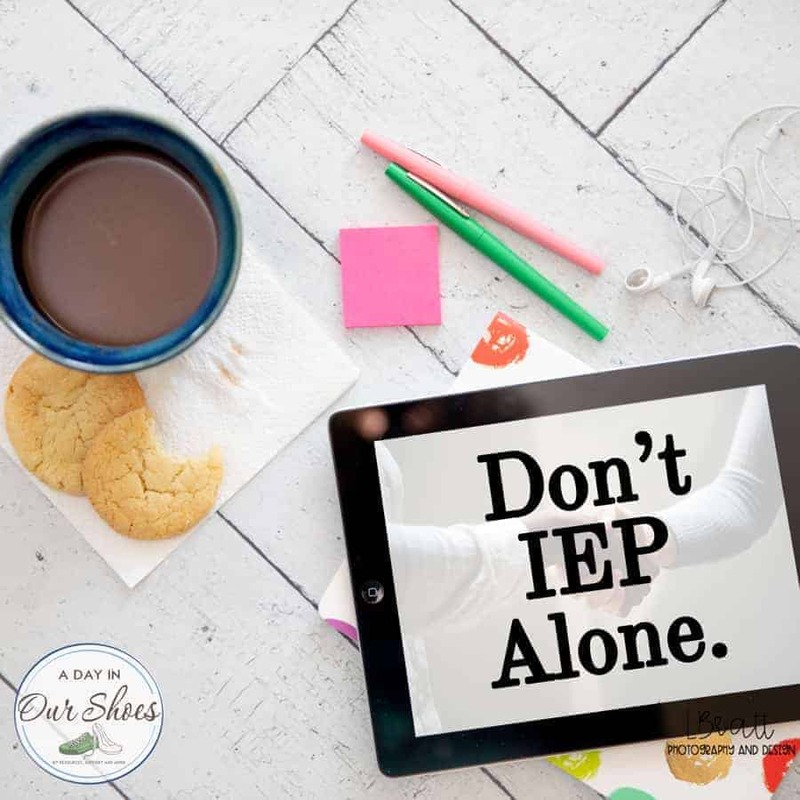 I’ve been to IEP meetings where people screamed at each other, shoved chairs and left the room in tears (and it wasn’t the parents!). I have been in situations where the relationship with the district really couldn’t get much worse. If you have reasons why you want to record the meeting and you don’t have a relationship at risk, go for it. So it may actually help the situation! In any event, if you do decide to record your IEP meeting, notify the district when you RSVP to the meeting. At that time, you’ll be asked if you need any accommodations. This would be a good time. IEP and IEE Evaluations: What parents need to know. This post was originally published in 2015 but was recently updated. As always, this is meant as advice and guidance and not legal advice. « 5 Ways to Support and Advocate for People with Mental Illness.